Roman Numerals in Books – You will find many examples of Roman numerals in libraries. – some books have their chapters numbered with roman numerals. – The ‘forward’ to a book is mostly written after the book is complete so it easier to use a different numbering system for the forward instead of renumbering all the pages in the book. 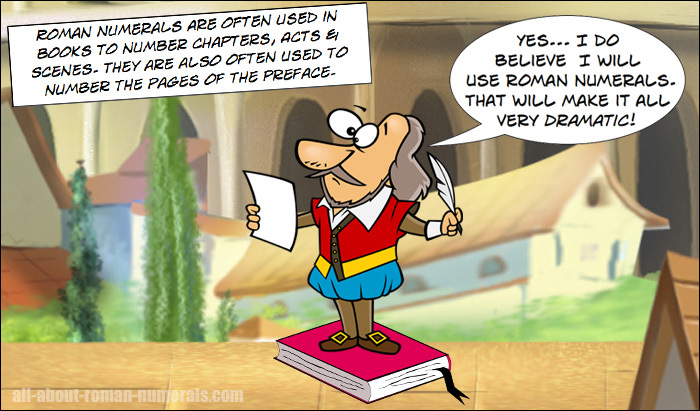 – Some people believe that authors use roman numerals in their books as they wish for the book to appear important. Other authors may want to create a ‘classical’ mood and still others wish to create an ‘other worldliness’. – It is very rare that modern writers use roman numerals to number chapters.